As you begin to develop your college essay structure, you should think of the body paragraphs as a means to support your ideas. The paragraphs should relate to your introduction, with each paragraph flowing naturally and logically to the next. 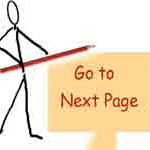 Your first challenge with the body is deciding on a suitable style for your admission essay. The most common and easiest style to handle is the Chronological Style. The chronological style is an account of the events arranged in order of occurrence. The format you apply to your essay structure will depend on the experience you’re relating. Some experiences fall naturally into a past-to-present format, while others may need a present-to-past and back-to-present format. A more difficult style to master is the Experience Frame. Here, you’re using stream of consciousness, sophisticated transitions, and careful flashing back and forth. It’s a more complicated format, and requires very developed writing skills for it to work. Have you ever watched a movie that seemed confusing? One where you’re watching a scene that doesn’t seem related to the scene before and you feel as if something is missing? Usually, it’s the result of a poor editing job between scenes. Your essay is not much different from a movie. Only instead of scenes they’re called paragraphs and your job is to seamlessly link them together. As you develop your story, each paragraph within your college essay structure should support the next. From your opening paragraph to your second and each subsequent paragraph, your essay must feel like it’s moving forward. This is called forward progression. It gives the reader the implicit assurance that there’s a point to your story – a beginning, a middle and an end. Even if using a present to past to present format, your story must move forward. How do you do this? First, by having a central theme or a plot (go back to selecting your essay topic if you haven’t done this yet). You need to know how you want to begin your story and where you eventually want to take the reader. But you might not really know this from the start. It’s likely you begin with one idea, and then as the story unfolds it starts to take shape and lead you in a different direction. That’s fine. That’s why we call it the first draft. You write a paragraph or two. Then you go back and tweak them, and then you write some more. And as you’re writing and tweaking, your creative juices start rushing like water from a sink as you begin to envision the conclusion. "I consider myself a highly motivated, talented, and dedicated student. I wasn’t always this way, but I’ve discovered the magical results that one can achieve with a little sacrifice and hard work. They will always go a long way with helping you accomplish your objectives in life. I always work hard to keep my grades up, and to stay physically fit by participating in various varsity sports. I’m proud of the results I’ve achieved so far. I plan to continue applying myself with the same enthusiasm and dedication, and hope to reach someday, the ambitious career goals I have set for myself." blah blah blah, yada yada yada.."
"Runners take your marks," shouts the starter. My heart begins pounding hard, as I crouch down, rub my sweaty hands together, and plant my fingertips on the white line of the pavement. "Get set," yells the man with the gun. My hips shoot up. A burst of excitement fills my body. My knee is scarred and my chin is bruised from all the practice drills and hours of training, but I never felt so ready! "Boom" blasts the gun. As I explode down the lane and approach the first hurdle, I think back on a time when I didn’t believe in myself. A time when I didn’t understand the value of personal sacrifice and hard work. And now here I am on my way to the finish line. I don’t know if I’ll be the first one to cross it or not, but it doesn’t matter. I’m still excited. Because now I can close my eyes and picture myself crossing any finish line I may face in life." Which better conveys the value of hard work and dedication? Hopefully, you chose the second. There’s a huge difference between these two paragraphs that you need to recognize. In the TELL paragraph, the writer is simply listing a series of qualities he claims to possess. Since he’s not offering any supporting evidence to back up his claims, he expects the reader to just take his word for it. In the SHOW paragraph, the writer draws us into his story with his tone and voice. He’s not expecting us to simply believe him. Instead, he’s showing us through his use of imagery. The TELL paragraph falls short of its goal of contributing to a memorable – or at least an interesting – essay. Though the paragraph is grammatically and structurally correct, it’s missing the elements to make it a valuable addition to a winning essay. There’s no excitement or sizzle. Remember, the reader should never be forced to simply have to believe you. Instead, always SHOW what you’re trying to convey. A trick that can help you is to perform the Oh really, why? test. Let’s try it. "I consider myself a highly motivated, talented, and dedicated student". Oh really, why? Why are you talented? Is it because you can explain the theory of relativity and sound like you know what you’re talking about? Or is it that you can play the flute and juggle three oranges all at the same time? Please tell us why! "…I discovered the magical results that one can achieve with a little sacrifice and hard work". Oh really, why? Did you just roll out of bed one morning and discovered this? Show us how. You get the idea. Always support your claim or statement with a clear example. Granted, the writer might have elaborated on these points in other sections of his essay. But if he has, then why even use this sentence? It becomes completely useless. 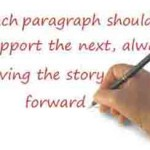 Paragraphs should flow naturally and logically throughout your essay. This is called transitioning. If you’ve already described (or are about to describe) a noteworthy talent of yours, then why would you TELL me in another sentence or paragraph how "highly talented" and "highly motivated" you are? Don’t tell me if you’ve already shown me. Excessive use of I The overuse of the I pronoun when starting a sentence can be detrimental to your essay. You can easily avoid it with a minor word pattern rearrangement. For example, you could replace "I always work hard to keep my grades up…", with something such as: "Working hard to keep my grades up is a priority with me." Lack of details in your essay Without details your essay becomes vague and boring. There’s only so much abstract writing a reader can take. For a college essay to be successful you’ll need to provide specifics. For example, it’s much better to say "I leaned out my bedroom window from our two-story house in Cleveland, Ohio" than it is to say "I leaned out my bedroom window." Also, the use of details and illustrations gives the writer a chance to use imagery with their prose. Note – if you recall in one of our earlier examples, we told you not to clutter your essay with too many details. So if you’re thinking we are now contradicting ourselves, please note that this is the difference: if you say "I leaned out my bedroom window from our two-story house in Cleveland, Ohio, where I lived from ages 5 to 12."…. you would probably be guilty of giving too many details. Unless, however, the fact that you lived there from ages 5 to 12 is key to your story and becomes relevant later in your essay. Otherwise, just mentioning Cleveland, Ohio is enough to give the reader some imagery. Poor essay transitions. A bad transition can spell the "kiss of death" and leave your essay looking disjointed. Our next section deals with essay transitions in more detail.